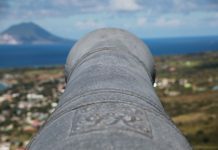 Leaving the less travelled islands behind us and preparing for a sail against the wind and the current, we started out early in the morning from Little Bay, Montserrat, hoping that we would reach the lee shore of Guadeloupe well before dark. All systems were green and we were looking forward to the offshore sail with a good forecast on the Ipad. It turned out to be a quick and very pleasant crossing, North Star enjoyed every nautical mile and so did we. 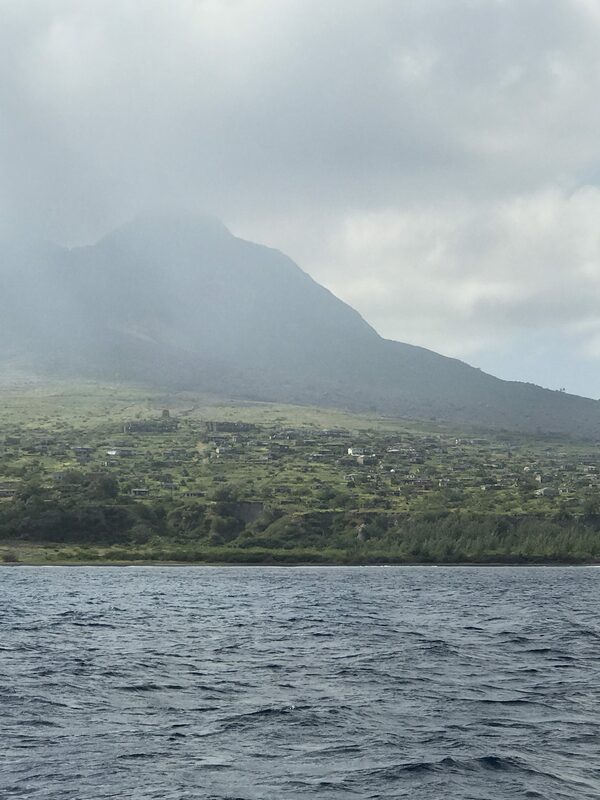 It was a very dramatic sail south along Montserrat, which I wrote about a few weeks ago. The proximity to the coastline and the old capital, made quit an impression. 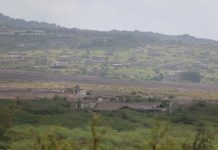 This whole south-easterly area of the island is completely destroyed and one can see the volcano looming over the valley and coastline in a sort of threatening way. 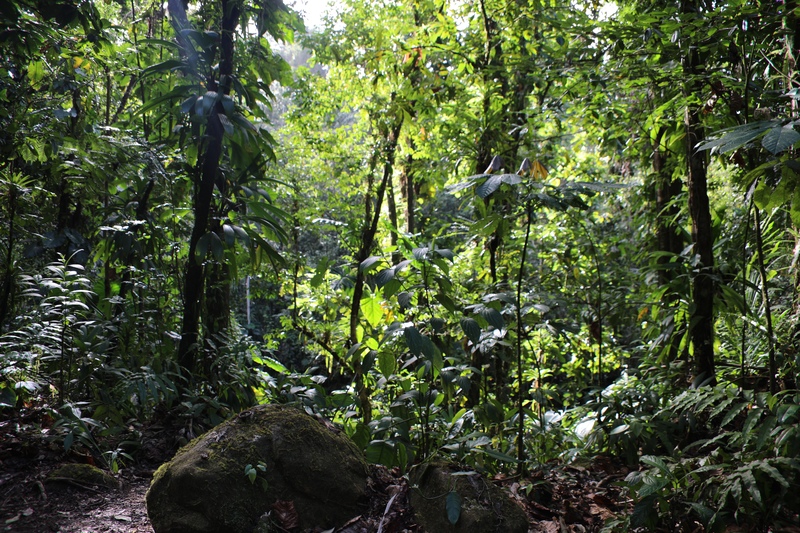 Everything is gray and devastated and in great contrast to the greenery and lush tropical rainforest, which met us late afternoon in the bay inside Pigeon Islands on Guadeloupe. 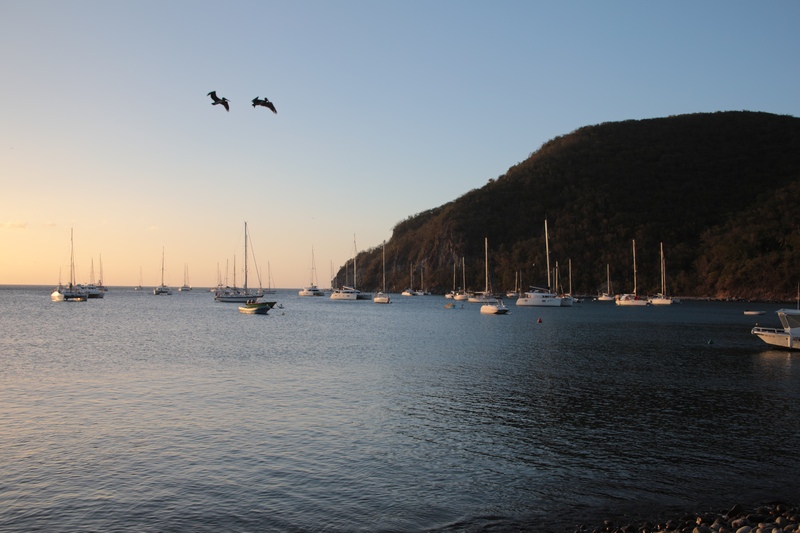 Pigeon Island is a highly recommended diving spot, where Jacques Cousteau had a ball in his heydays. There is even a statue underwater to commensurate him. After numerous attempts to anchor in the bay, we moved further down the coast to anchor. We had received differentiated diving reports from Pigeon Island, and decided to start with a snorkel trip in the morning. To get all the diving gear out of the lockers is always a project, so there better be something to look at. 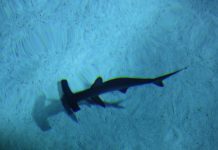 Often we have realised that snorkeling on the shoreside of the reef is a great experience, especially in some of the areas where the reef is dying. And unfortunately many of the reefs we have visited here, have been devastated by the warming of water, hurricanes or. After a wonderful day around the small skiffs of Pigeon Islands, the conclusion was clear. Not many corals and fish, and no reason to go diving. We later learned that it maybe was a hasty conclusion on our part. Especially our good friends from Somnia, had a great time here, so maybe we were not looking in the right place. Next stop were Le Marin at Martinique. We had an appointment with a large rigging company, Caribe, which were to change all the standing rigging on North Star. Maybe a year or two early, but we are heading into the Pacific and another 3-4 years sailing of 30-40000 nm. Therefore we had decided to replace every piece of hardware and wire between deck and mast, before we left the Panama canal and reached into the big blue. Better maintain and replace before time, instead of struggle with repairs in faraway places. “Caribe” came highly recommended, so here we were. The job was estimated to be a one week job and then we would leave the boat for two weeks, visiting Cuba by air. We had checked several times before arrival to Le Marin and all spareparts had arrived, they said. Yes, all repairs in this part of the world takes a lot longer and this was no exception. I will spare you for the details, but it did end up taking four weeks and mostly caused be Selden in France and a computer database, which was wrong most of the time. So the sparepart for North Star did not fit our rigging. The local riggers from Caribe did a fine job and did everything to make it happen, but…very slowly. It was that painful, but in the end the result was great and we have full confidence in the rigging and the sails, after now having changed both during the last year. Oh yes, we did also replace our less than 3 year old Elvstrøm EPEX sails in Antigua in early 2017, after a complete de-lamination. Our experience is that laminated sails for cruisers is great if they last and ours did not. Instead we ordered Hydra-net with lots of vectran and other offshore reinforcements, and this seems to work well. John from Mahina Tiara has tested these and sailed more than 50000 nm with them. Of course they are a little less effective going to windward from 80 degrees to 35 degrees. But we believe they will last, and we do not expect to spend much time going to windward, during the next few years sailing in the trades. Our sail preparation for the Pacific now includes a Bluewater runner, a Genakker and the Main, Genua and staysail. The sail packet is mostly geared for downwind sailing and on purpose we have shipped our code-0 home with a fellow cruiser. We are looking forward to use the Bluewater runner and will report later on this, as it seems to be the ideal sail for a double handed cruising boat. 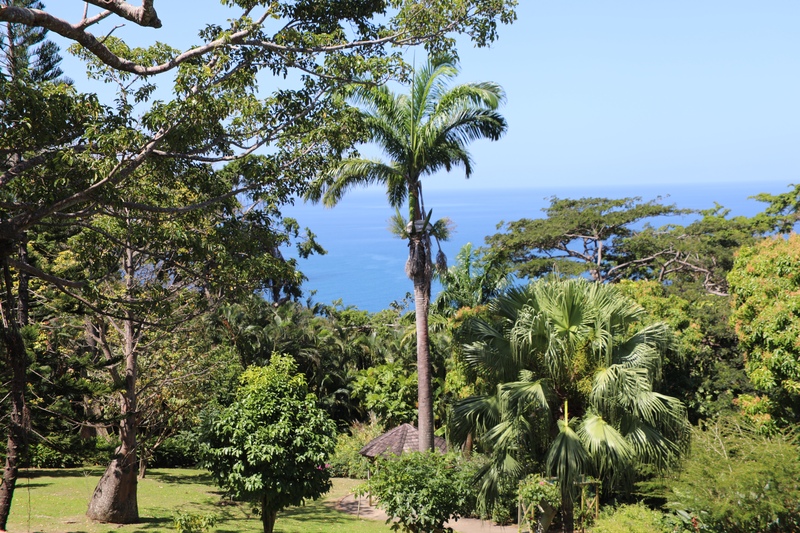 After a few frustrating weeks in Le Marin and a wonderful trip to Cuba, we were finally free! The next days were lazy and enjoyable. 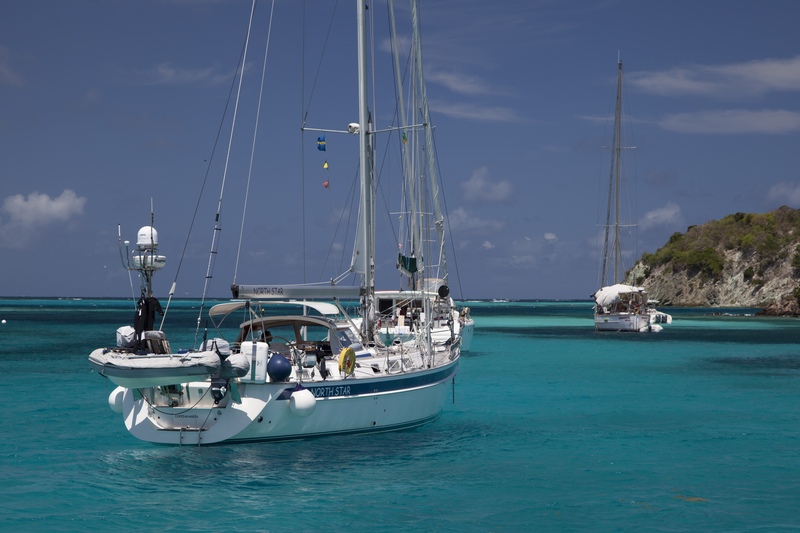 We sailed slowly south towards St. Vincent and the Grenadines and made just a few stops. 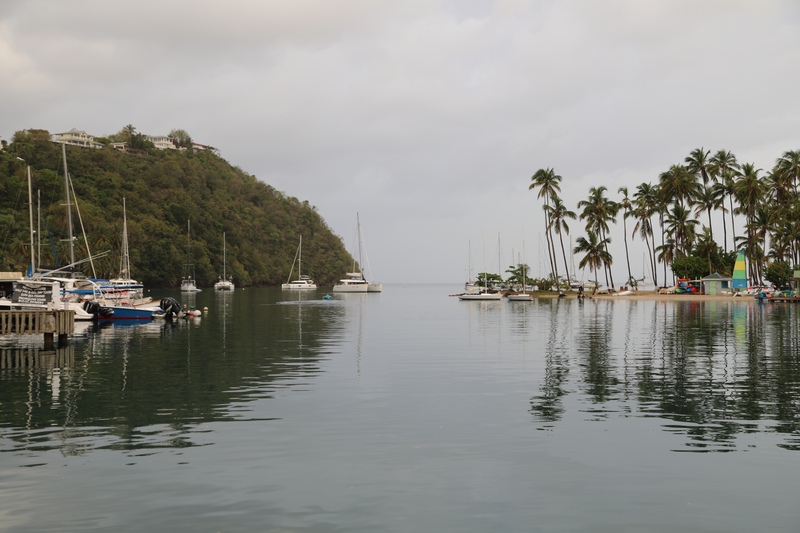 One of the more memorable visits was in Marigot Bay, before arriving into Bequia, the first island after St.Vincent. We choose to pass by St. Vincent, because of the rumours of ongoing crimes in the anchorages along the coast. This is always a question of your risk profile, as reports on the conditions varied a lot. But the fact that ARC+ second half is now going to end at St. Vincent, will probably improve the security on the island. 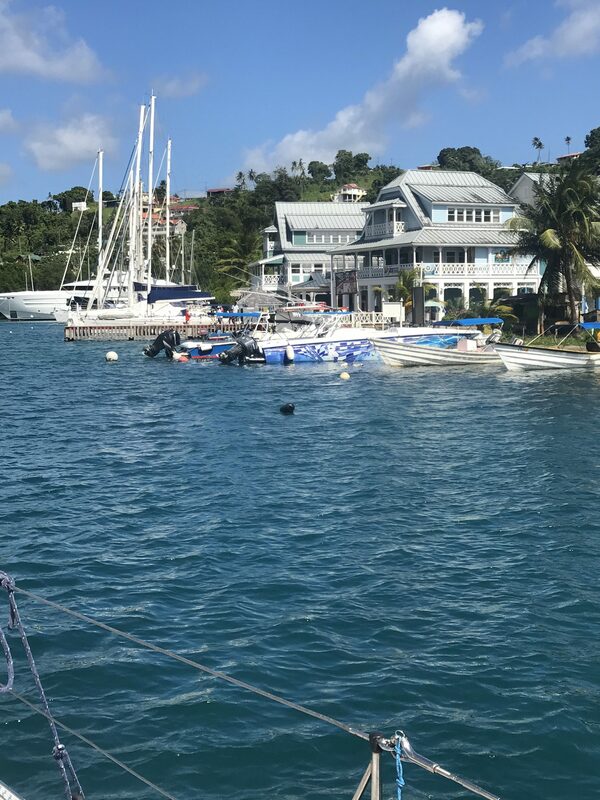 We had planned to anchor in Marigot Bay, but at check in we realised that it was possible to use the marina for North Star and enjoy the four restaurants and swimmingpools in the hotel, for the same marina sloth price! So the decision between marina or anchor in the bay, was made rather quickly. As we slowly entered the very narrow entrance to the marina, our good friends from Australia Kathy and Adrian, was waiting on the quay and together we enjoyed a few very nice days. 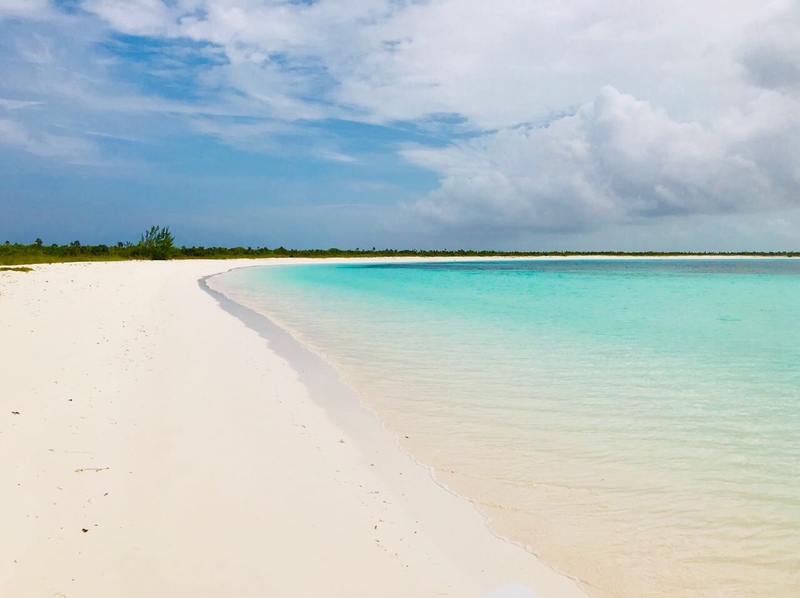 As nice as it is to be isolated on an island, without other amenities than you have onboard, as nice is it to be spoiled by plenty of running water, aircondition and all the other things the western world, often takes for granted. So we swam in the pool and enjoyed the restaurants. 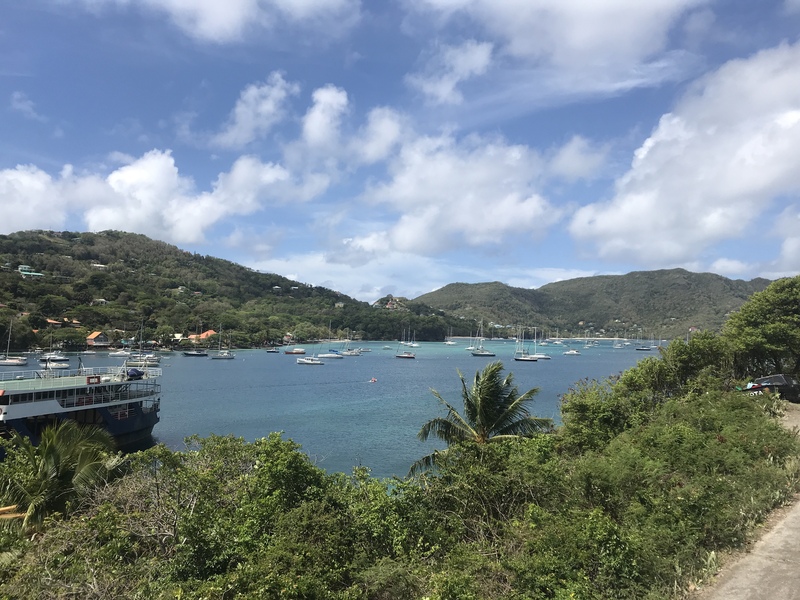 Following these wonderful days, we sailed further south to Bequia, and anchored in the far from empty, but wonderful bay. 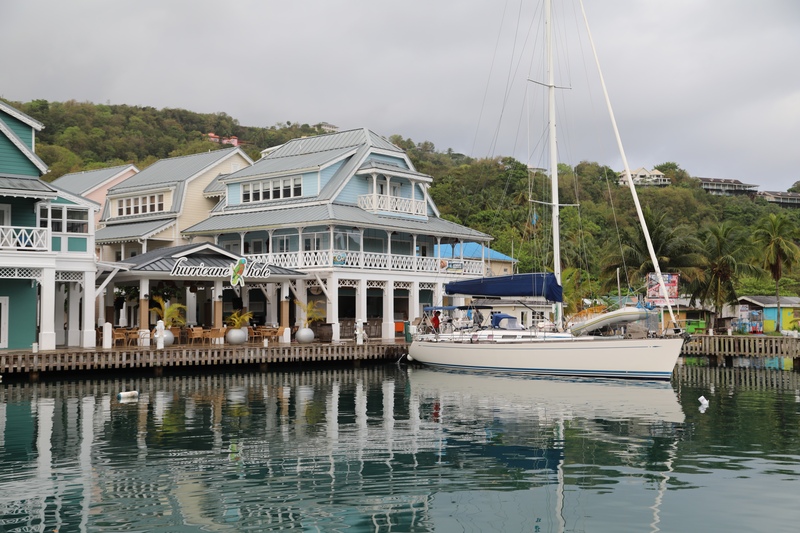 This is the place to be, if you want to be social and meet all your sailing buddies – they all pass through at some point – so we spent a week and was really sociable – read lots of GT. As on many of these island, people are friendly and open and the best thing is to help. A swedish sailor who passed by 30 years ago is now running a restaurant, have married and live a very different life. 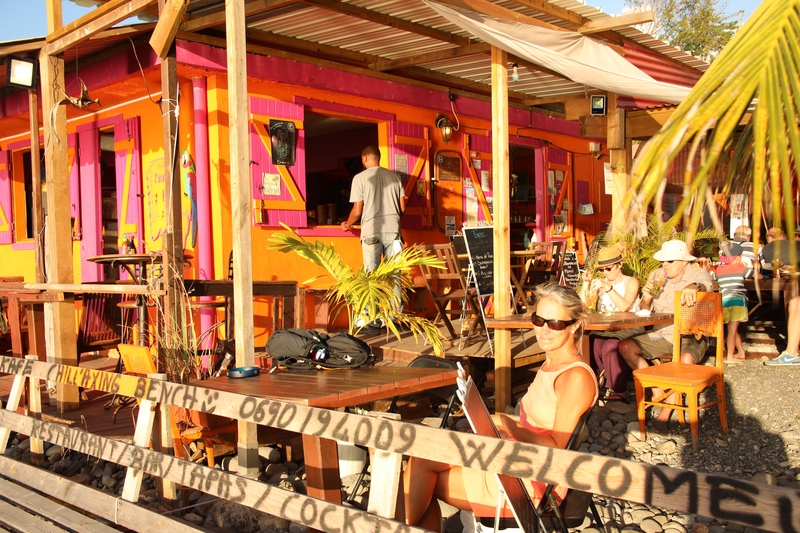 Also the kind lady, who directed us to the right place to buy fruit or in so many ways, made sure we did not stumble.The island also have beautiful hiking, kite surfing and diving option and good options for shopping – so what’s not to like. 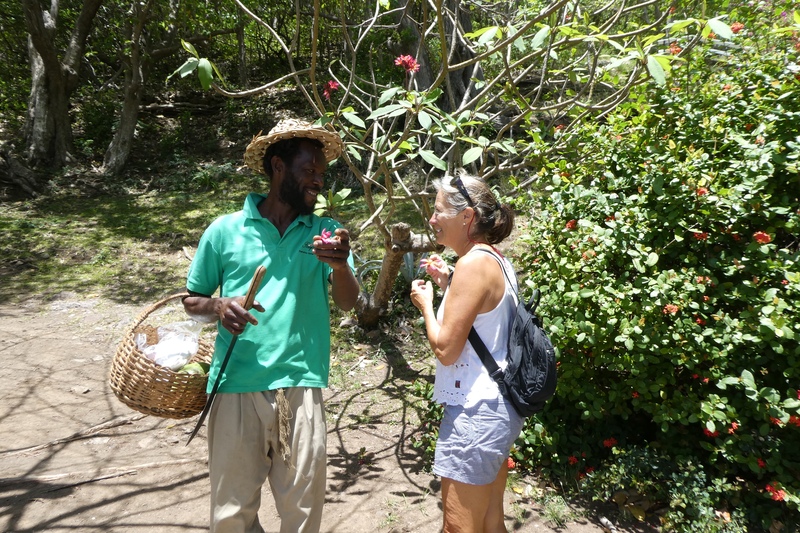 Marie enjoyed a tour in the park of a local plantation and was shown how to prepare sugarcanes and coconuts, as you can see in the pictures. But on we went, only 2 hours sail, but what a difference. Have you ever felt you wanted to be part of the celebrity crowd? 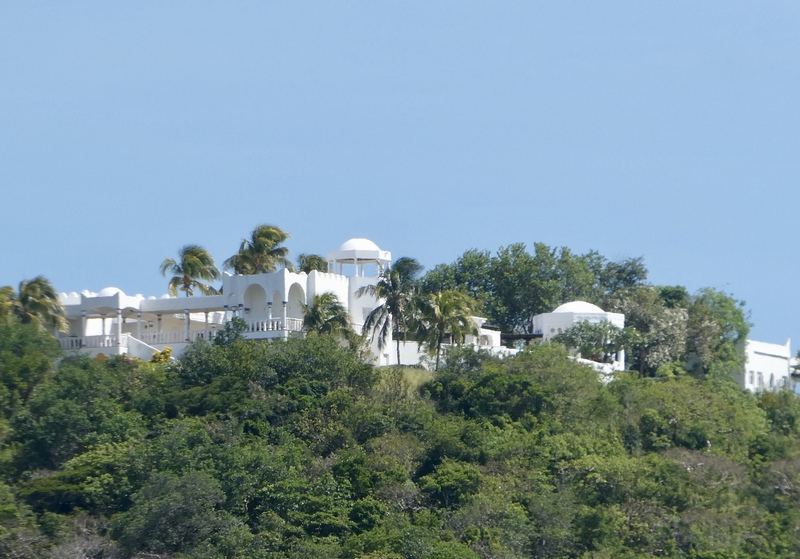 Ok, if you have, visit the island of Mystique, where Mike Jagger and more have houses and relax outside the public scrutiny. Only way to visit is by flight or private yacht and it has two great restaurants and 2 bars, right there on the beach or on the hillside. But Basil is the place to meet and they have friday afternoon jazz and sunday brunch with entertainment. Unfortunately I did not manage to get a picture of Mich Jagger, as some of our friends did, but their were lots of royalty, together with turtles. 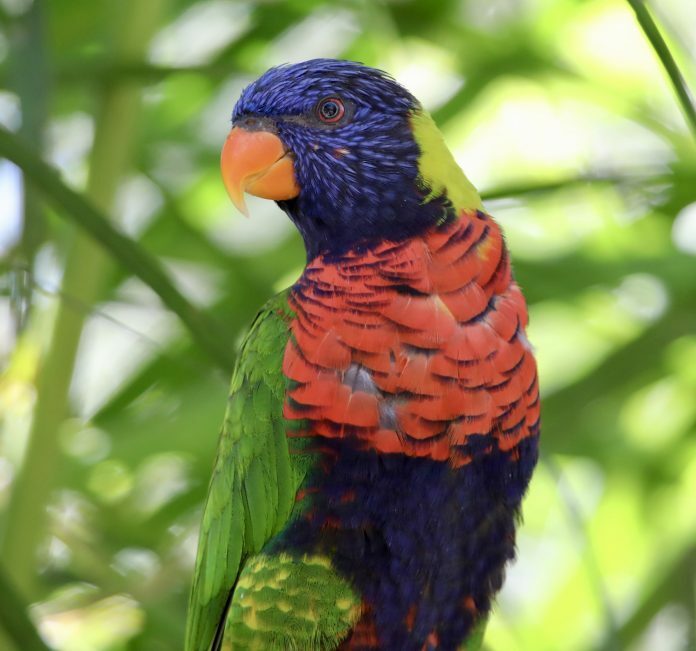 After a few days, we continued down to the ‘Pacific islands in the Caribbean’ – Tobago keys. Three small islands right behind a couple of big reefs. Lots of diving and snorkeling, lobster on the beach and kite surfing for the brave. We let the anchor go on five meters of water and did not use the buys around us. We nearly always choose our Rocna anchor over the local buoys – you never know if the buoys are well maintained and can hold our 24 tonnage. We were well received by the boat boys, which are not really boys anymore. A few comments about this part of the experience. 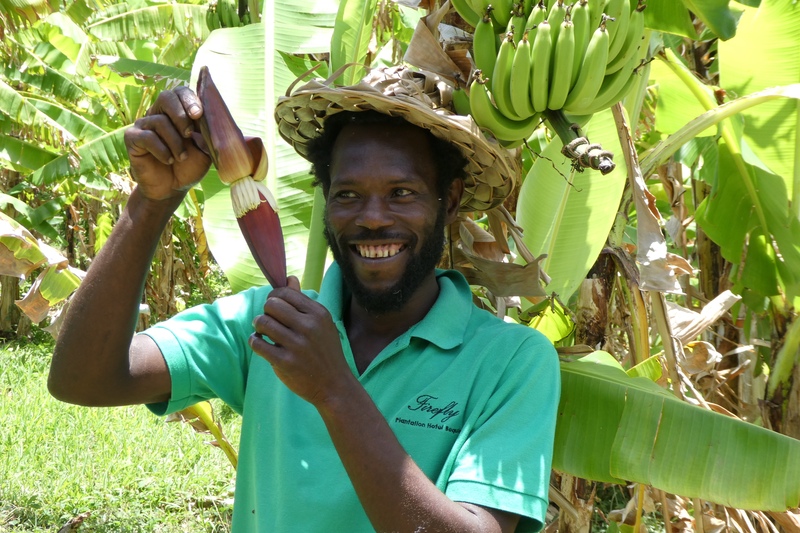 We have heard so many talking about how commercial the Carib islands have become. 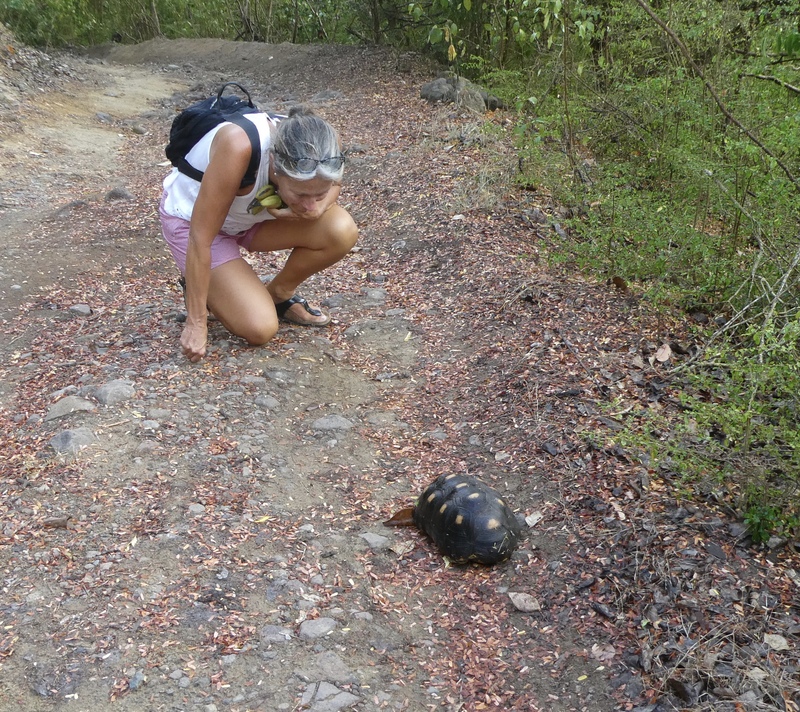 After five months and a journey up and down through the islands, we have only met nice helpful people, who go out of their way to helps us and do business with us – but also respected a polite no thank you. Most of the places we have visited, a system have been established, so a boat is already preallocated to a “boat boy” when you arrive – so no complaints from North Star. The boat boys have their business figured out, so we had Lobster on the beach a few times and this included a pick up service at the boat. It is a wonderful place and I am sure we will venture back before we go west. 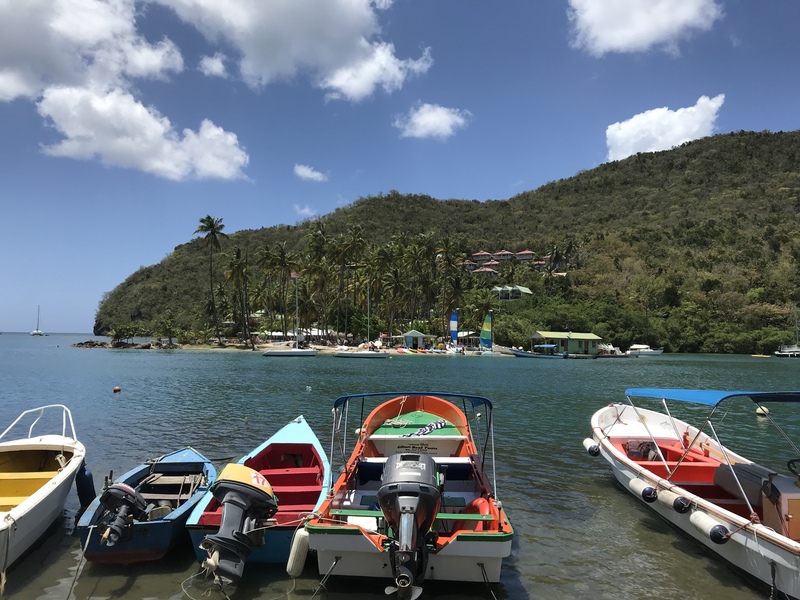 As we had a fixed appointment with a big boat lift in Clarks Court Grenada we sailed through the Grenadines in a rather swift way, knowing that we would return after the hurricane season. And as we came into the middle of May we arrived to Saint George’s Port Louis and started to prepare North Star for six months on the hard, protected as much as possible, against the sometimes rather violent hurricanes.